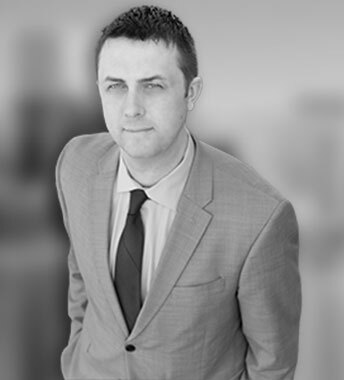 Jared Justice is an experienced Portland defense attorney specializing in DUII cases in courts throughout the Portland metro area. Jared was raised in the Oregon City and Canby area of Clackamas County before attaining his law degree from Western Michigan University, Thomas M. Cooley School of Law, in Lansing, MI. in 2008. While in school, he worked as an extern in the Washtenaw County Public Defender’s office, where he gained a wealth of experience helping people overcome misdemeanor and felony allegations. Jared opened his practice in 2009. Over the years Mr. Justice has defended numerous clients with charges ranging from petty misdemeanors to serious measure 11 felonies. Through regimented practice and a passionate dedication to his clients, Jared Justice has helped people from all walks of life obtain the victories that they deserve. Whether it is fighting unlawful government conduct or credibly presenting the case to a jury, Jared’s ability to advocate for his clients is outstanding. Mr. Justice bases his criminal defense and DUII practice in Clackamas County and the surrounding municipal courts (West Linn, Lake Oswego, Gladstone, Canby, and Oregon City). This allows him to dedicate more time to his clients rather than allocating time for traveling. But for the right case and the right client, Jared Justice will go wherever he is needed. Jared is a top criminal defense attorney in Portland who delivers accessible representation, extensive research and preparation, responsive communication, and effective resolutions year after year.